Pence-Buttigieg feud heats up While Barr feels backlash after saying Trump campaign was spied on #MAGAFirstNews with @PeterBoykin SPY GAMES: Attorney General William Barr is feeling backlash from both Democrats and the mainstream media for testifying Wednesday that federal authorities spied on the Trump campaign in 2016 ... Despite mounting evidence that the FBI pursued an array of efforts to gather intelligence from within the Trump campaign -- and the fact that the FBI successfully pursued ... See More warrants to surveil a former Trump aide in 2016 -- House Speaker Nancy Pelosi, D-Calif., told the Associated Press, "I don't trust Barr, I trust Mueller." House Majority Leader Steny Hoyer, D-Md., told Fox News that Barr's loyalties were compromised. 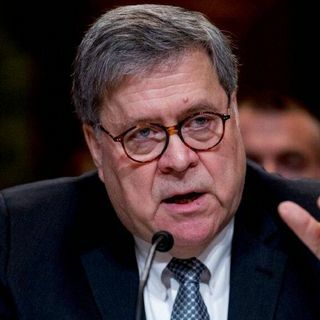 Various members of the media accused Barr of peddling right-wing "conspiracy theories" and being part of a White House cover-up. STANDOFF OVER TRUMP'S TAXES: Treasury Secretary Steven Mnuchin said that the department hasn't decided if it'll comply with a demand by a key House Democrat to deliver President Trump's tax returns as a Wednesday deadline to turn over the records came and went ... In a letter to House Ways and Means Committee Chairman Richard Neal, D-Mass., who asked for Trump's returns a week ago, Mnuchin said Treasury would consult with the Justice Department and further review the request. The news came a day after Mnuchin faced off in a contentious exchange with California Rep. Maxine Waters, the chairwoman of the House Financial Services Committee. PENCE-BUTTIGIEG FEUD HEATS UP: The war of words between Vice President Mike Penceand Democratic presidential candidate Pete Buttigieg over homosexuality is slowly escalating ... On Wednesday, Pence fired backafter the openly gay South Bend, Ind., mayor criticized the vice president for his belief that homosexuality is a choice. "He said some things that are critical of my Christian faith and about me personally. And he knows better. He knows me," Pence told CNBC in an interview scheduled to air Thursday morning. "But I get it. You know, it’s – look, again, 19 people running for president on that side in a party that’s sliding off to the left. And they’re all competing with one another for how much more liberal they are." EX-OBAMA WHITE HOUSE COUNSEL TARGETED IN MUELLER PROBE: Greg Craig, who formerly served as counsel to the Obama White House, is expected to be charged with foreign lobbying violations, his lawyers reportedly said Wednesday ... The case against Craig stemmed from Special Counsel Robert Mueller’s Russia probe, centering around the lobbying work he performed in 2012 for the Russian-backed president of Ukraine, Viktor Yanukovych, while Craig was a partner at the law firm Skadden, Arps, Slate, Meagher & Flom. Craig allegedly never registered as a foreign agent under the Foreign Agents Registration Act, or FARA, which requires lobbyists to declare publicly if they represent foreign leaders, governments or their political parties. FINAL BREXIT DEADLINE EXTENDED UNTIL HALLOWEEN: European leaders and British Prime Minister Theresa May agreed Wednesday to push the final deadline for the U.K. to depart the bloc until Halloween, with European Council President Donald Tusk warning British politicians to "not waste this time" without ratifying a formal withdrawal agreement ... Britain had been due to leave the EU on Friday, but May rushed to an emergency summit in Brussels to plead with her European counterparts to hold off on saying goodbye for a couple more months. The prime minister had asked for a delay only until June 30, but Tusk said in a tweet that she had agreed to a longer "flexible" extension, which provides for Britain to leave any time before Oct. 31 provided Parliament ratifies a divorce deal and passes accompanying legislation to ensure a smooth transition out of the EU.